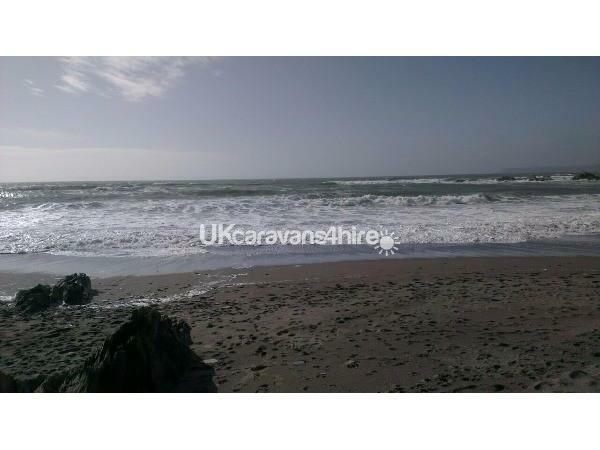 The caravan is equipped with FreeSat. The grill can be used a toaster. 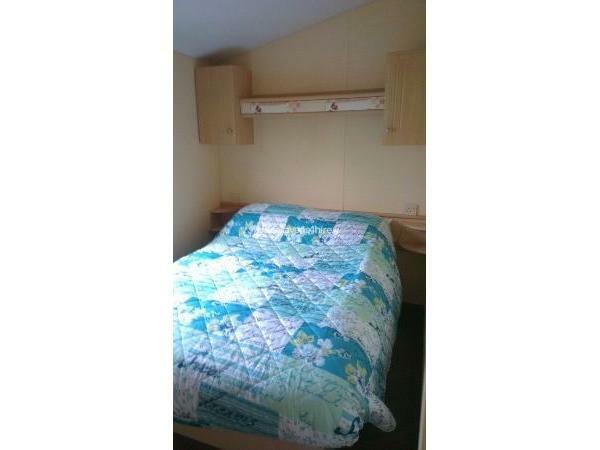 A refundable deposit is required to secure this pet friendly caravan. The refund is dependent on conditions - including breakage / spoilage conditions. 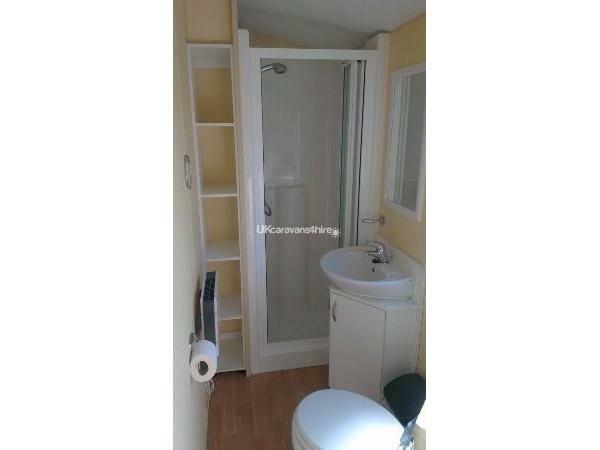 The deposit is in addition to rental price. eg - Deposit of £50 to secure dates plus £200 rental price = £250. Please pay deposit as soon as possible to secure dates. Arrival time is normally 4.00 pm. Departure time is by 10.00 am. 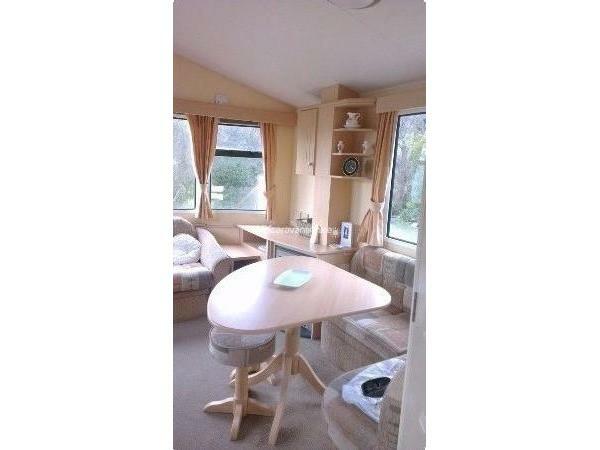 Please contact us if you would like to rent our caravan for a short stay or long stay. However we are not normally able to accept very short notice bookings. 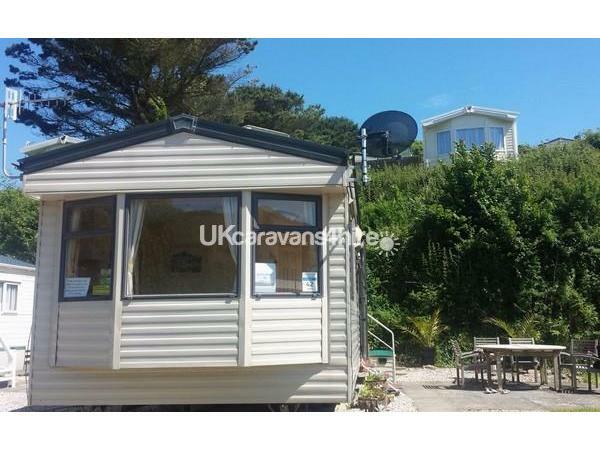 Our caravan has two bedrooms and is a six berth caravan (all with duvets and pillows), which is clean and well equipped with a nice view. The main bedroom has a double bed with cupboards and under-bed storage, there are two beds in the other bedroom which has cupboard space, one bed can be stored under the other. There is a fold out double bed in the living room. 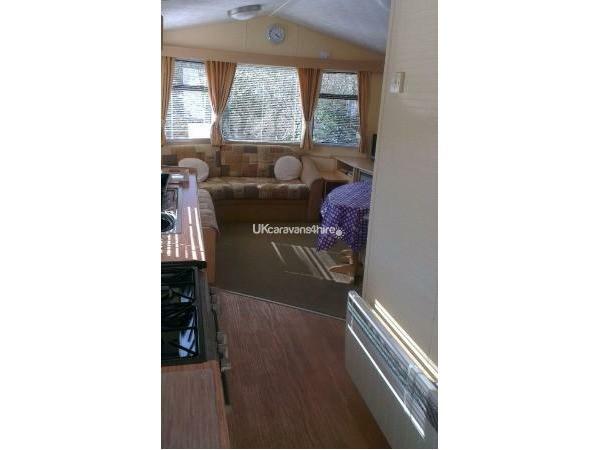 The caravan has blow-air heating, a gas fire and there is a radiator. There is also FreeSat. Outside there is a paved patio area with a wooden table and chairs. Parking is available for two cars. 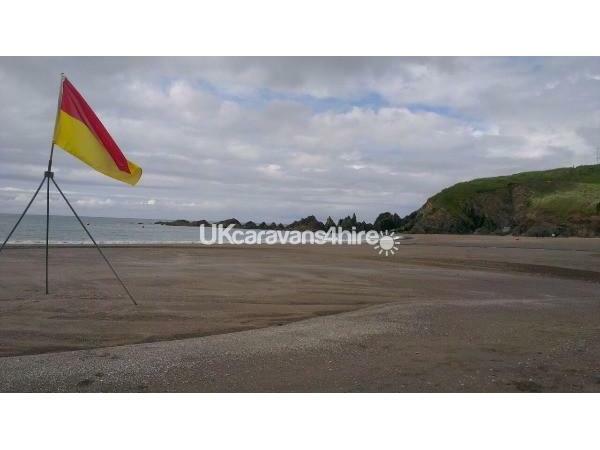 Challaborough Bay Holiday Park has security and its own blue flag sandy beach, life guards are in attendance during most of the year, there are a number of nature walks nearby and on-site amenities include a launderette. 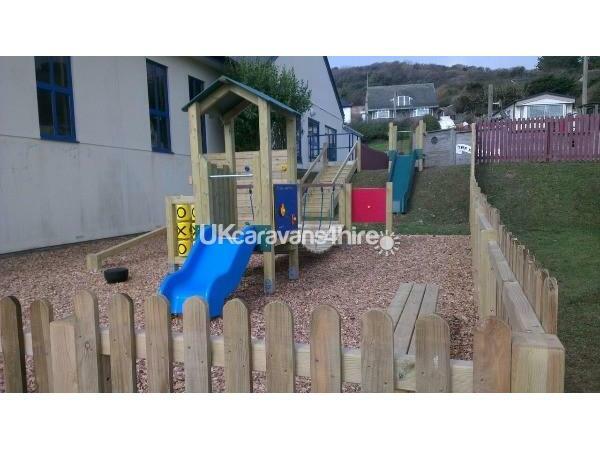 Challaborough Bay Holiday Park has a picnic area, an indoor swimming pool and gym, there is a toddlers play area and amusements for older children, there is entertainment for all ages (passes will be needed). 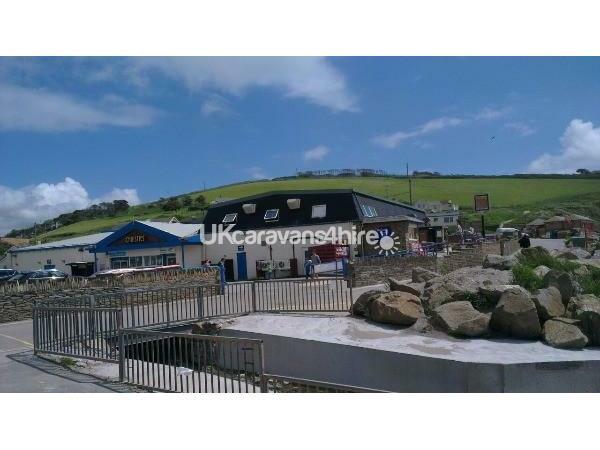 There is a take-away on-site, a restaurant / bar and shops are located on the beach front which has cliffs containing slate, there is a nearby shop (just offsite). 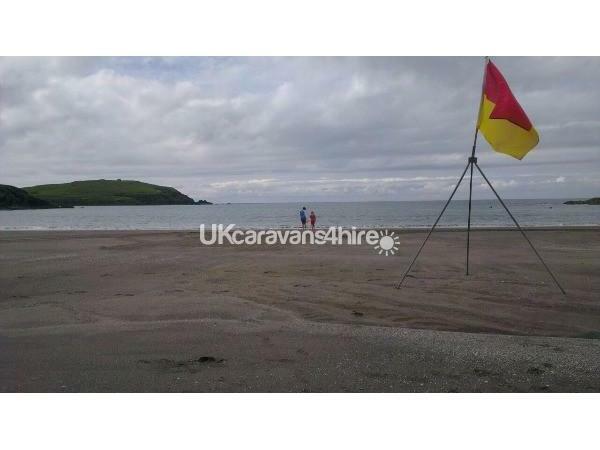 Surfing and scuba diving classes take place nearby and Burgh Island can be reached by foot at low tide if you would like to visit the island. Pets are not allowed on the beach from 1st May to 30th September, however, they are allowed on Bigbury on Sea beach a short walk away. A golf course is only a short drive from the Park. Children and pets are welcome. 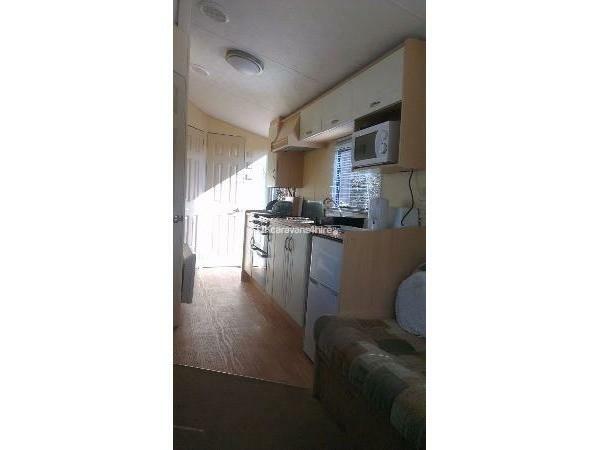 Please note ours is a non-smokers caravan. Please note charges will apply for some activities. Additional Info: Sauna and toddlers pool. There is a shop at the entrance of the Park which sells items including groceries, newpapers and toys.